Blackboard Instructors Blackboard 9: Full Instructor Tutorials Working with Content: Add,Copy,Move,Delete How do I add a web link? How do I add a web link? This lesson shows how to add weblinks and webpages to your course. Select and click the content area where you want to add the weblink. Click Build Content and select URL from the menu. Add a name for your link in the Name …... Please note that adding a student to your Blackboard course roster does not actually enroll that student in your course. You will not be able to assign that student a final, end-of-semester transcript letter grade until that student officially enrolls in your course and pays his or her tuition and fees. To add a Guest Student* or Guest Faculty to your course: Log in to Blackboard at blackboard.wustl.edu. Navigate to the WebFAC module at the bottom left of the main Blackboard page. About The new messaging procedures in the online courses requires that Student Support teams add themselves to a course on-demand only when they are required to review course content. Note: Before adding LTI links to a course, make sure that Credo has been added to your institution's Blackboard system as an LTI Tool Provider, as described here: Blackboard Global LTI Tool Set Up. To edit the boxes (modules) that appear on the default course home page of a Blackboard course, confirm that Edit Mode is turned on. It is located in the upper right-hand corner of the page. If it is turned off, click “OFF” once to turn it on. 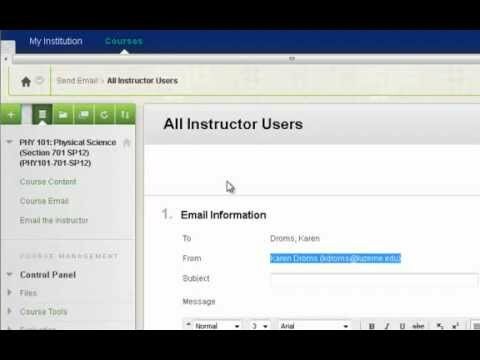 Blackboard syncs with PeopleSoft/SOLAR to add instructors, teaching assistants, and students to courses. If you are coteaching with another instructor, have a TA, or a student auditor, they may not be automatically be added to Blackboard, if they are not registered or listed in SOLAR. 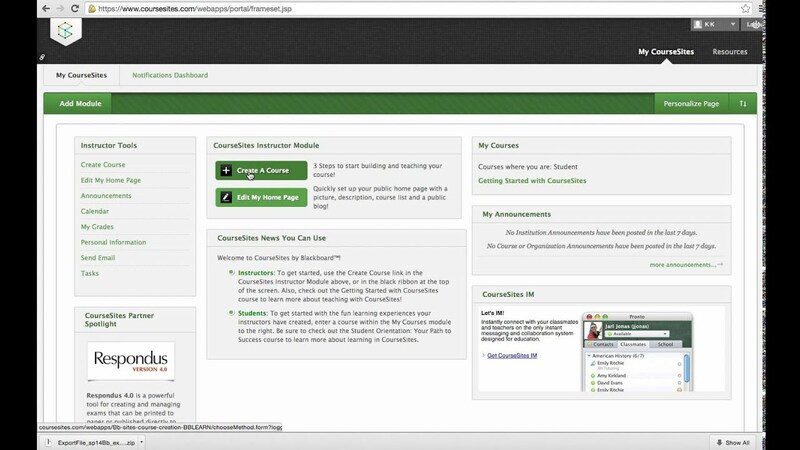 You can load various course documents such as your syllabus, lecture notes, and PowerPoint presentations in Blackboard. Before attempting this task, you should already have your document or file saved in a common electronic file format, such as MS Word, MS PowerPoint, etc.